Question: Can I run Agent Procedures from KNM? Answer: Directly, you cannot run Agent Procedures natively through KNM. Here is a Feature Request you should 'Like' to show this is an important feature for future inclusion in the product. However, you can create a ticket in Service Desk using KNM's 'Ticket Alert Action', which has the ability to run procedures on Agent-based machines only. If you do not have adequate licensing you can reach out to your account manager. Instructions on how to perform this follow below. 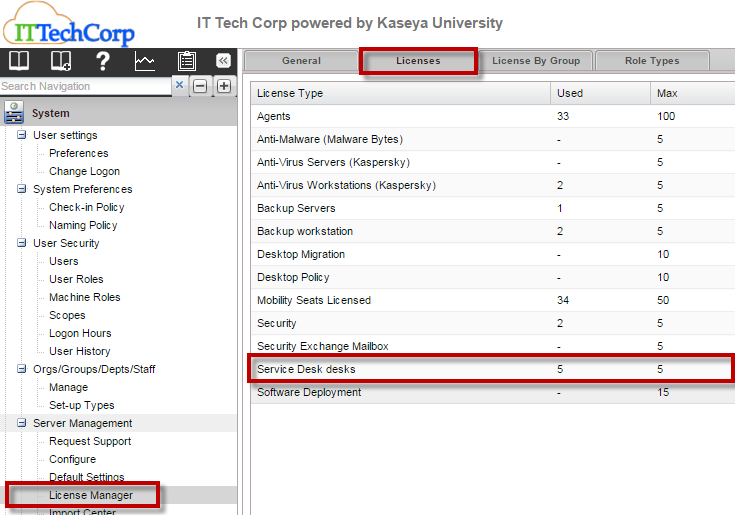 Once you have verified licensing, it would be time to setup KNM to assign the create a ticket action on the Folder/Network/Device you would like to run procedures on. In the above screen shot it will create tickets for all devices within the 'Home' Network. If you only want to create tickets for agent-based devices which can run Agent Procedures, it will need to be assigned on a device level. Enable Service Desk in the VSA, which may be enabled already. Create your Service Desk Procedure. This will require you to create a procedure in the Service Desk > Procedures Definition > Stage Entry or Exit page.